I remember this as being a supreme example of what’s known in Australia/UK as pub rock, and in the US as music played by “bar bands”. I don’t know what it’d be called in Venezuela. Hmm. I’m listening to “Keep Your Hands To Yourself” as I’m typing but I can’t think of much to say about it. It’s a solid 12-bar blues performed by a good bar band. It doesn’t have much of an 80’s sound, about which I rejoice. No exploding drums! No effects-laden guitars! The band doesn’t sound as if it’s playing down the bottom of a well! It’s just a band playing a song! Yay! The word “solid” pretty much says everything I want to say about it. It’s solid. And now that I’ve seen the word “solid” multiple times, it looks like gibberish. You know when you see a word over and over again until it doesn’t seem like a real word anymore? That’s what I’m now thinking when I see the word “solid”. Maybe I should stop typing the word “solid”. Oh. As I was typing that nonsense, the song finished. I’m going to have to play it again. 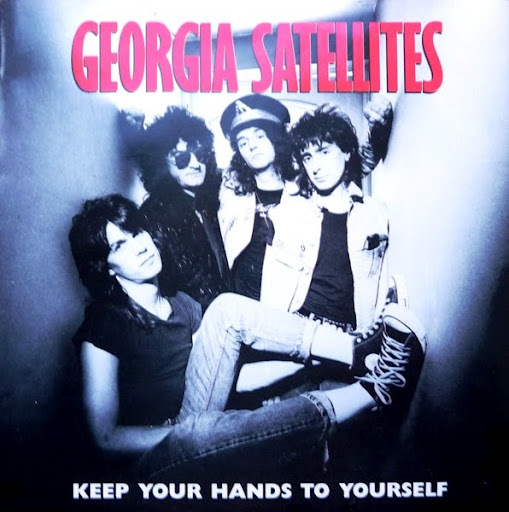 You are currently browsing the archives for the Georgia Satellites category.